The concept of ‘worldviews’ has been popularized over the last several years and is now integrated into Christian terminology as a way to explain how Christians should “see” the world around them. Arguably, someone cannot properly understand the present without understanding the past. But a ‘worldview’ does not just have a beginning. Nor does it just a middle. So for simplicity sake we might say that a ‘worldview’ has three basic pieces. Any ‘worldview’ has a beginning (past), middle, and a future (an end). For the born-again, Bible-believing Christian, a ‘worldview’ should come from one place and one place only- God’s Word. Here it is interesting to note that although many good Bible teachers hold to a literal, biblical beginning (creation), and the complete redemption and atonement of the Creator and Savior, Jesus Christ, they may fall very short in the last piece of the Bible puzzle- The Future. Below I’ve attempted to ‘boil down’ the three basic puzzle pieces both biblically and rationally and welcome any discussion or debate on any or all. The Beginning: Creation. Not evolution plus creation, but as we let God’s Word speak for itself, telling us our history, creation is revealed as a miraculous six-day event in which God created all things out of nothing by His all-powerful Word. (See Genesis 1.) All things were created without sin (very good). Nothing with blood was created to die. All creatures were created to eat plants. However, once Adam and Eve rebelled against God, things changed. Sin and death entered God’s perfect creation. This piece of the puzzle is quite controversial not only in the world, but also among many Christians. interestingly, the debate becomes fairly simple if you just let the text speak for itself. After all, Genesis is grammatically written as a historical account, not an allegory. The End: Jesus, the Lamb will return from Heaven to Earth as the King of kings and the Lord of lords. All saints would agree on this truth; however God goes to great lengths to give us much more detail than this. And even though many Christians cannot seem to agree on the details, God’s Word is clear. When one applies the same logic and reason to discerning Scriptural text regarding the future as in the beginning and middle of God’s Word, there is only one way to understand the return of our Savior and King. No where in God’s Word does it teach that Jesus returns for His saints. Rather Jesus returns from Heaven with His saints. (1 Thessalonians 3:13, Jude 1:14.) The Bible does reveal that the Lord does return for Israel, not the Church. (Matthew 24:24, 31.) But hasn’t Israel been replaced by the Church? Isn’t Old Testament Israel more or less just an allegory for the New Testament Church? No and No. Israel: A Key in the End– It is this Christian blogger’s view that your understanding of Israel and it’s relevance and place in the last piece of your ‘worldview’ puzzle will affect your entire ‘Worldview’ sooner or later. Even though the beginning of someone’s ‘worldview’ will most likely shape their understanding in other areas; all pieces of one’s ‘worldview’ will affect and influence one another. Why? Simple. God’s Word is not just made up of one piece. All the pieces are intertwined and interrelated for the purpose of not exposed the pieces, but to reveal the One True God. No one piece of God’s Word enlightens a man, rather it’s the One true God, through His entire Word, who illuminates the entire heart and mind of man. 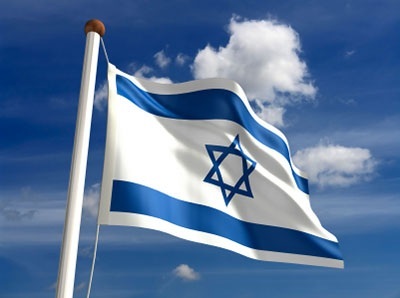 Back to Israel… Israel has played a huge role in all of Scripture, yet it is somewhat ironic and truly tragic that many who hold to a literal Creation, don’t seem to understand the role of a literal Israel in this piece of the puzzle. For example, Lord is called “The God of Jacob” 25 times and “The God of Israel” 205 times. Without Israel, God has no reason to return to earth. (Matthew 24:31.) Without Israel, the Antichrist will have no reason to gather the world together. The whole point of gathering the world will be to destroy Israel. Without a literal and Biblical Israel, many Old Testament prophecies become allegorical at best; empty and worthless lies at worst. While it seems many saints understand what happens when you allegorize the Genesis account, these same saints don’t see the danger in allegorizing the Lord’s future return for Israel. You could reason if one allegorizes the beginning, why not allegorize the middle. Could it not also be reasoned that if you allegorize the end, why not allegorize the beginning and middle? From Cover to Cover: Putting all the Pieces Together. Many Christians claim to believe God’s Word from cover to cover. And many teachers have been willing to become very unpopular by teaching a literal creation, as well as the power of the exclusive Gospel of God. So why is it that such willing vessels become so unwilling to allow God’s Word to speak plainly of the role of Israel in the end times, as well as God’s never-ending love and faithfulness for them? If God does not hold to His promises made to Israel in the Old Testament, assuming they are now nullified and replaced by the Church due to Israel’s disobedience, what kind of hope do we have as New Testament saints. Does God’s faithfulness depend upon any man’s works? It is clear from Scripture God is dealing with Israel today and has blinded them in part (Romans 11:25), but God is not through with them. This is clear.